SOLD OUT IN 2017 THIS PRO-CLASS ASSORTMENT IS LOADED FUSION’S PREMIUM STAFF PICKS. CONTAINS HE.. 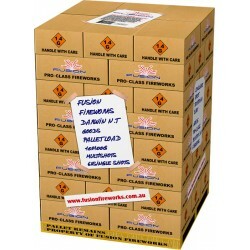 This is an awesome pack full of fountains, smaller multi-shots, spinners, and novelties. 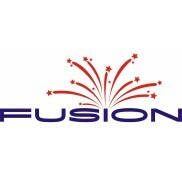 Great fo..
NEW 2018 CAMO LOOK THE FUSION TEAM HAVE PICKED THEIR BEST 4 EFFECTS AND DESIGNED THIS AWESOME 4 X..
NEW 2017 ASSORTMENT THAT IS FULL OF WICKEDLY INSANE FUSION FIREWORKS GOODIES. INCLUDES MULTI-SHOT..
WE HAVE PACKED NT’S BEST OF THE BEST TOGETHER FOR 2018 IN ONE GREAT 4 PACK. MINDIL MAYHEM 2..
NEW 2018 EFFECT UPGRADES AND ITEMS ADDED FUSION PRO-CLASS CONTAINER LOAD – N.T’S UNDISPUTED N.. THIS HEAVY WEIGHTS SELECTION JUST GOT A WHOLE LOT BETTER FOR 2018! ONLY CONT..
EFFECT: RADIANT RED STARS WITH WHITE STROBES WITH TITANIUM CRACKLING NORTHERN TERRITORY MOST WANT..